Today we have asked Erin to join us on the Blog. 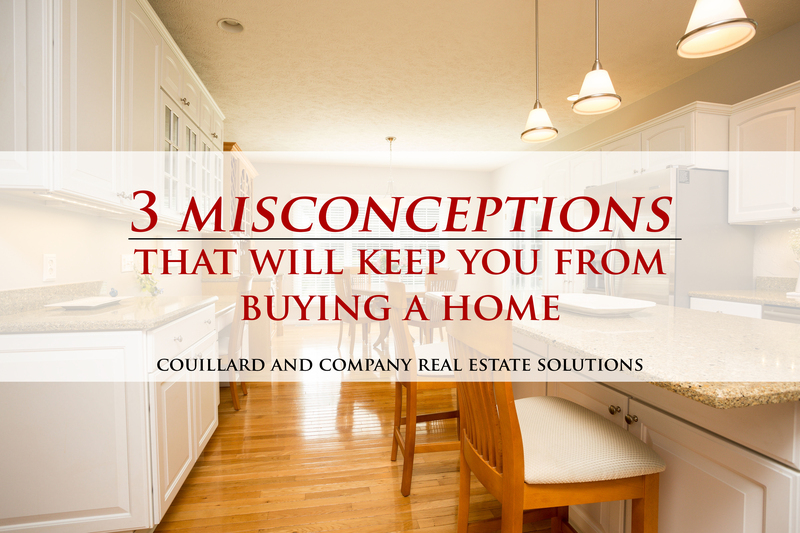 Erin is a Home Mortgage Consultant we know and trust so we thought she could help shine some light on 3 misconceptions you might be thinking of right now that is holding you back from buying a home! Ever been told you’re not ready to buy a home? What reasons were you told? Some examples could be “I don’t have 20% down,” “My credit is not good enough,” or “Interest rates are going up and are going to get worse.” What if I told you that these were misconceptions and you could still get a home without having 20% down, having a lower credit score and that the interest rates are actually not that high! Let’s visit on these for a minute…. Did you know that you can buy a home for less than even 5% down – AND you don’t have to get a FHA loan to do so? Putting down 20% or more is a great idea if you can afford it BUT you don’t have to in order to take the first steps towards home ownership. This concern is a constant for home buyers. There are many mortgage programs available now that will work with a buyer when their credit score is lower than average. Even with a score as low as 620, a buyer could still qualify for a particular program that will offer a competitive interest rate. Let’s be honest, we have been spoiled with the interest rates of recent years. At one point I was quoting a rate as low as 2.5%, unbelievable right! Those rates are most likely gone now, however historically we are still working with some really fantastic interest rates. Believe it or not there was actually a time when interest rates were 14% and that was GOOD! Are interest rates rising? Yes, they are but not to the extent that we will see them at 15% again anytime soon. Honestly, the best way to see how affordable today’s interest rates are is to contact a Home Mortgage Consultant and get started today! Thank you, Erin, for writing for us today! If you’d like to find out more about Erin and all the knowledge she has, you can check out her contact info below!